Press Play to watch the ads. 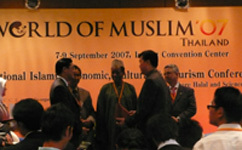 J.C. 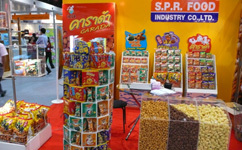 Export Sales Team Participated ISM fair in Cologne, Germany - the world biggest snack & confectionery fair during February. 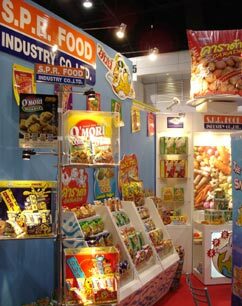 Our Export Team Participated Africa – Big 7 fair in Johannesburg, South Africa - during July. Our products are now widely distributed in Africa continent. 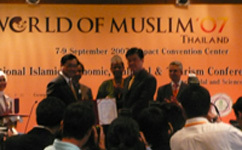 Our local sales team have participated this Cartoon Exhibition. We are officially approved by MDI – Japan as Licensee of Sergeant Keroro – one of the most popular Japanese cartoons. J.C. 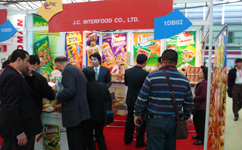 Export Sales Team Participated FHC China in Shanghai. 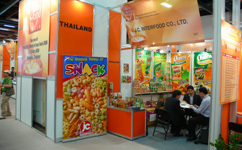 Our company together with our Vietnam partner has participated in Thailand Exhibition at Ho Chi Minh City – Vietnam. 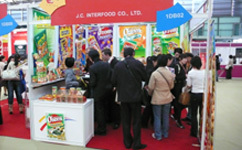 Our export Sales Team together with Department of Export Promotion has participated the 17th Taipei International Food Show. 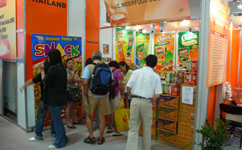 We exhibited in THAIFEX-World of Food ASIA. The feedback is over our expectation.